Long-time running classic game show, “Wheel of Fortune” hosted by Pat Sajak and Vanna White is returning to “The Big Apple” next spring to tape four weeks of shows in the Theater at Madison Square Garden. The announcement was made by hosts today on location in Central Park. 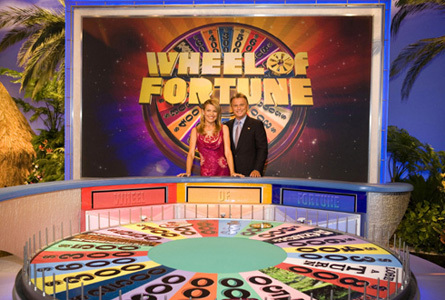 Visitors and locales should keep a look out for hosts and game show celebrities Sajak and White as they will be shooting segments on location at some of New York’s signature attractions and landmarks including: The Metropolitan Museum of Art, Washington Square and multiple locations in Central Park. The hosts will also tour the city on a Gray Line double-decker bus through Times Square, past the Public Library and Grand Central, followed by a trip on the “Water Taxi” for views of the skyline. Pat and Vanna will also be participating in a ribbon cutting ceremony to unveil a unique decal permanently applied to one iconic, red Gray Line New York double-decker bus inducting Wheel of Fortune into the bus line’s “Ride of Fame.” “Ride of Fame” is a series of mobile monuments celebrating public figures who have represented New York positively in all of his or her endeavors and has proven why New York is the best city in the United States.